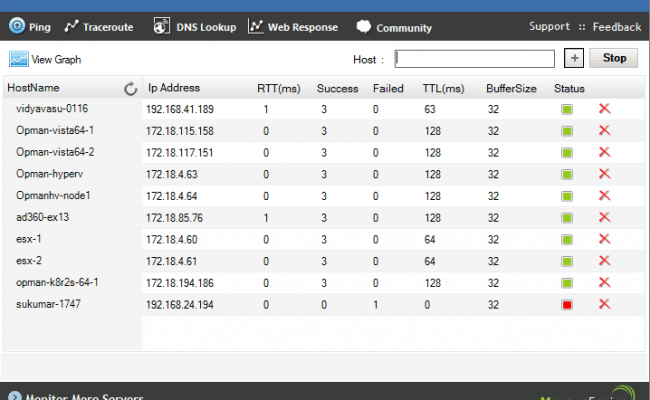 Ping Tool by ManageEngine is a great utility that uses Ping to monitor the availability of your servers, routers, switches, websites, mail servers and trace route server/host. 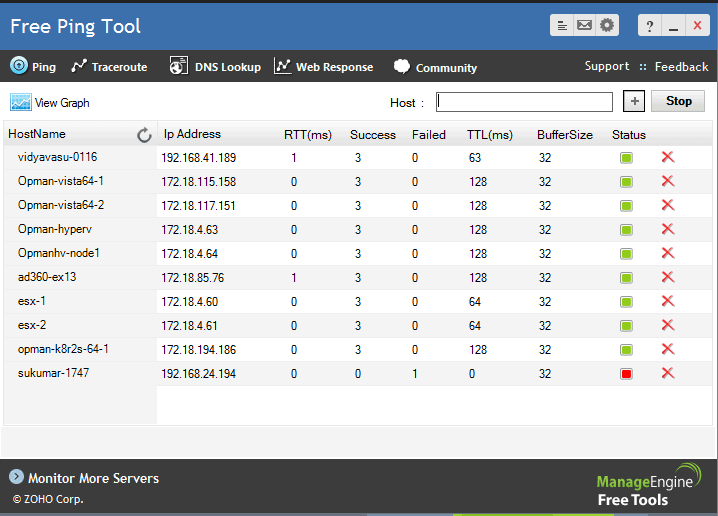 If you want to know if your servers are up and running, then this is an essential tool to have in your networking tool bag. Best of all, it is 100% Free! Round Trip Packet Time data for troubleshooting connectivity and line speed issues on the network. Through the Trace Route module, users can determine how many hops the connection has to complete. Get the DNS records of websites like: A records, SOA records, MX records, NS records and Text records. 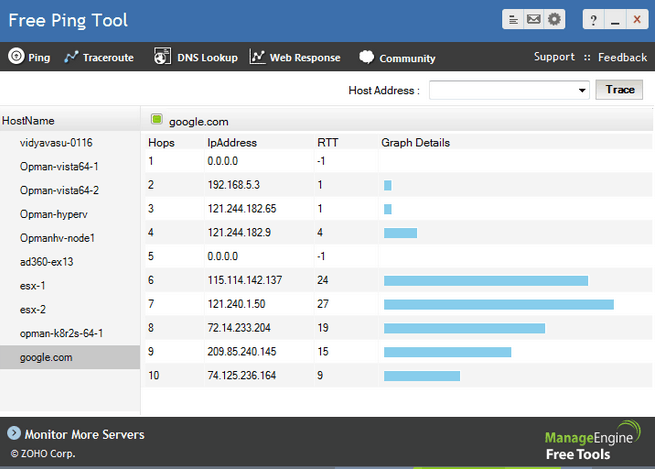 IP Address/Host names entered in the tool are retained for subsequent use. Microsoft Windows Operating Systems i.e. Windows XP, Windows Vista, Windows 2003 & Windows 7.